Microsoft has reportedly been working on a dual-screen, portable device internally named Andromeda for two years. The device has been referred to as the Surface Phone countless times in the media, including us and it is expected to function like a portable, foldable Windows 10 PC with telephony capabilities. Even though the Andromeda was expected to launch later this year, ZDNet has reported that the device has been delayed and the worst-case scenario is that it may be shelved. This indicates that Microsoft might have run into problems that can’t be resolved. The hardware of the device is a lot different than that of mainstream devices, and there is also a software component that needs to be dealt with accordingly. It has been dubbed the Windows Core OS and the Andromeda OS, and it is more UWP-centric. The shell would be on top of it. Even though some of these new features might be seen on Redstone 5, which is slated for a release this fall, the report says that the development is not on schedule. The lag is so big that the features may not even be ready in time for the next spring update that is codename 19H1. Previously, Terry Myerson led the Windows and Devices division. However, the company has been reorganized and he has also left, which means that Microsoft might be rethinking its ideas. 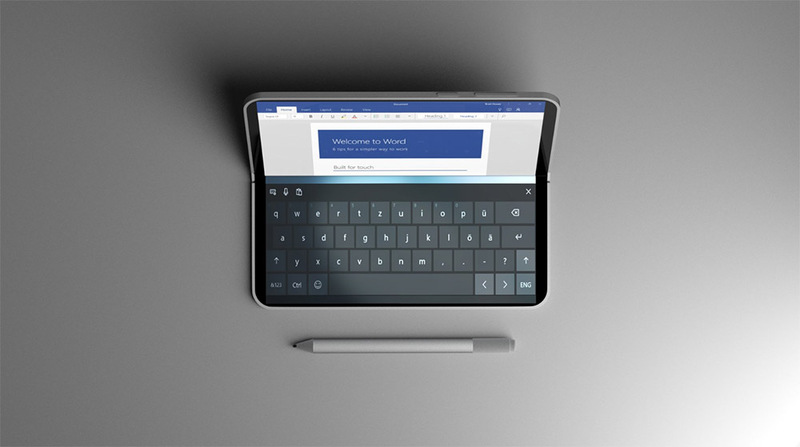 With Surface devices, Microsoft intended to unveil new form factors for Windows 10 devices and Andromeda would have been a manifestation of those plans. Andromeda might still be released or Microsoft may simply abandon the idea and proceed to the second iteration, which will hardly be surprising as the company did the same with HoloLens. It seems more logical for the company to release a refined first-gen device instead of one where the software giant is hammered with criticism. For now, it appears that Andromeda is on hold and heading towards a possible cancellation. One thing is certain: it will not be released this year and the chances are slim for the next year as well, in our view at least. However, Microsoft plans to introduce Surface devices in new form factors in the future so you never know what happens next.